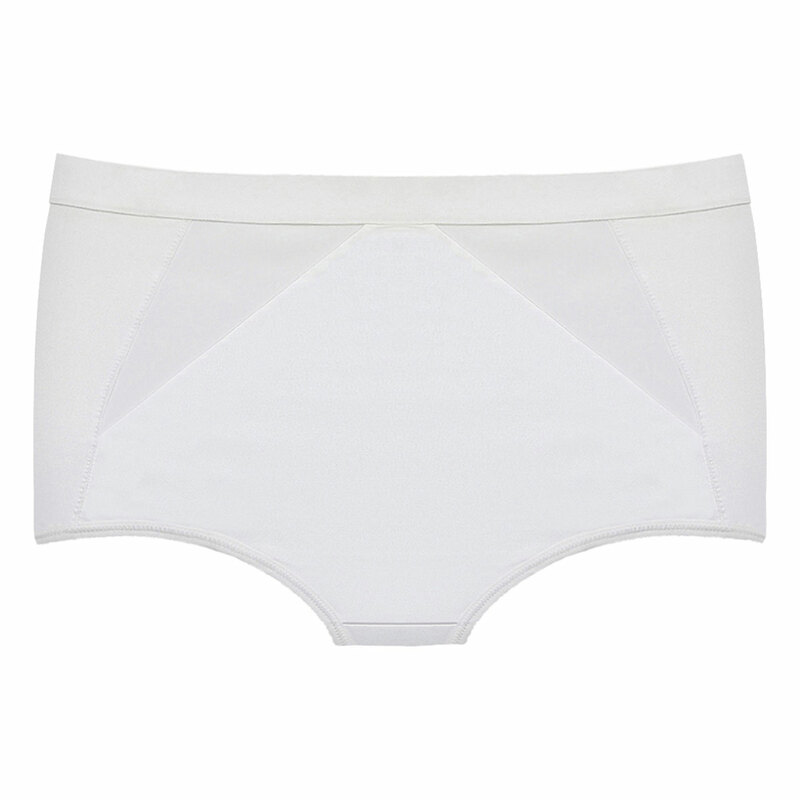 This season, the white maxi brief from the Perfect Silhouette collection returns, made using an innovative soft, stretch microfibre for incredible support and great comfort. With its guaranteed tummy-flattening effect, you can enjoy wearing all your favourite outfits with complete confidence! This girdle combines effective functionality and modern style, thanks to its graphic tulle panelling on the hips. Enjoy a great feeling of femininity with your enhanced silhouette! The new version of the Perfect Silhouette maxi brief will shape your curves to perfection while ensuring your complete comfort. Pretty and feminine, this shaping brief pairs up with any of the white bras from the same collection.